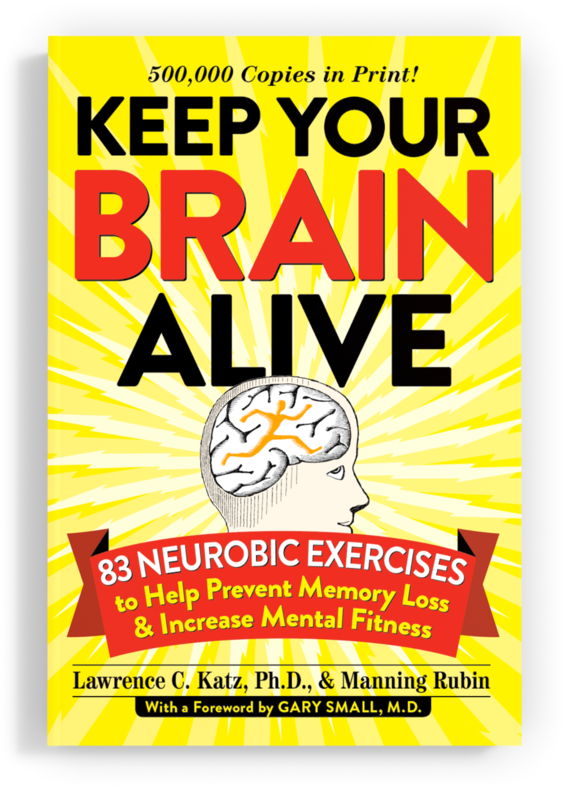 Based on the latest scientific research from leading neurobiology labs around the world - including what Dr. Katz was pioneering in his lab at the Dept of Neurobiology in the Duke University Medical Center in Durham, NC. The deceptively simple exercise program is the first and only program scientifically based on the brain's ability to produce natural growth factors called neurotrophins that help fight off the effects of mental aging. Neurobic exercises use your five physical senses and your emotional sense in unexpected ways and encourage you to shake up your everyday routines. Neurobics don't require paper and pen or isolating yourself with puzzles. Everyday life is the Neurobic Brain gym. They can be done anywhere, anytime in offbeat, fun and easy ways while you're getting up, commuting, working, eating, shopping or relaxing. They are designed to help the brain manufacture its own nutrients that strengthen, preserve and grow brain cells.Something as simple as closing your eyes and using your other senses of touch, smell and spatial memory to unlock your door, enter your home at the end of the day and find your way to the coat closet and answering machine is a typical Neurobic exercise. What happens in your brain while you're doing this becomes exercise because different, underused nerve pathways and connections get activated. The result is the production of a kind of natural brain fertilizer that strengthens nerve connections and helps them and your nerve cell receivers (dendrites) stay younger and stronger. And the benefit of that is a fit and flexible mind ready to meet any mental challenge whether it be remembering a name or where your car keys are or mastering a new computer program or staying creative in your work.